It’s time to paint your new home or repaint your current one, and when it comes to choosing the right interior paint, it’s a good idea to consult the trusted color wheel. The tried-and-true color wheel has long been the go-to reference tool for choosing color combinations. Play with the wheel and see which colors complement others in order to get a beautiful collection of colors to upgrade your home’s aesthetic appeal. Here at Rock Painting & Gutters we know all about color psychology – how colors can subtly affect a person’s attitude and mood – so we will help you decide on the best interior paint colors to enhance your environment. Take a look at the following tips for choosing the best color for your home interior painting project. Before you go all-out with a paint color, test it out on a small guest bathroom or spare bedroom. It would be a shame if you used the paint all over the house only to find out you didn’t like the color as much as you did when it was in the can. Accent walls are also a great way to test new paint colors. Additionally, if you’re stuck on the color chart, pull color inspiration from a favorite painting or accessory in your home. As we mentioned, colors can make you feel a certain way. It’s a psychological event that is different for everyone where some people find comfort from the color green, as where others find blue the most relaxing. Choosing the right paint color to match the wanted mood for the room is crucial. Keep in mind that cool colors (blue, green) and neutrals (tan, brown) usually create a quieter and more relaxing mood great for libraries or bedrooms, whereas warmer colors (red, orange, yellow) tend to spark emotions which are better for social rooms such as the dining room or kitchen. Natural light is the very best light to truly see a color’s characteristics. When choosing your paint colors, look at samples in daylight, or artificial day light bulbs, to get the best idea of what your choice will look like when the sun comes in through the windows and hits those walls. It’s recommended you use daylight bulbs in your home if possible to allow your paint to look as true as possible since incandescent lights cast colors in a yellow tone, and fluorescent lighting covers colors with a bluish tone. Although your choice of paint colors alone has hopefully made the room a masterpiece, sometimes a wall color can be made that much better if a dramatic art piece or painting, or vivid colored furniture, is placed along with it to give texture and definition to the room. Just keep in mind that the colors of the accessories should complement the wall color. Consult your trusty color wheel for verification. If you’re going with a single color, or variations of a single color (ex. blue, baby blue and royal blue) then using different finishes can set the room off in a wonderful way. Use eggshell (matte and less reflective) in some areas, and satin or semigloss on others. Mix and match to achieve a unique look that helps the mood and tone you’ve already established with your color choice. These tips are easy to follow, but will make a huge impact on the success of your home’s upgrade. 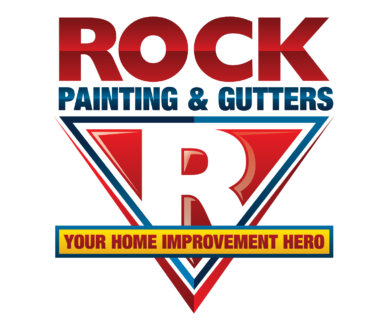 When you’re ready to tackle this interior painting makeover, call Rock Painting & Gutters for a free estimate at 972-737-ROCK or use this contact form.